One of the most enjoyable aspects of our hobby is that no matter how long-gone some of our favorite full-sized cars of the past are, we can still sort of have them in miniature form. Such is the case with Rich Wilson's 1972 Ford Ranchero. Rich is a Ranchero fan from way back. 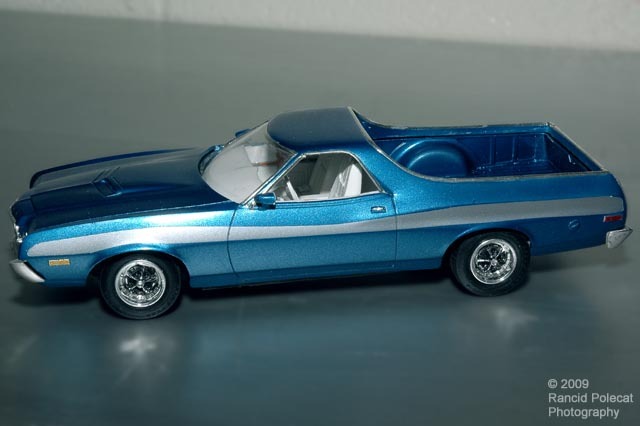 He was the original owner of a metallic blue 1973 Ranchero GT. In honor of that car, he built the 1972 model you see above.